Planning for a robust network of high-speed rail lines throughout the United States is nothing new. 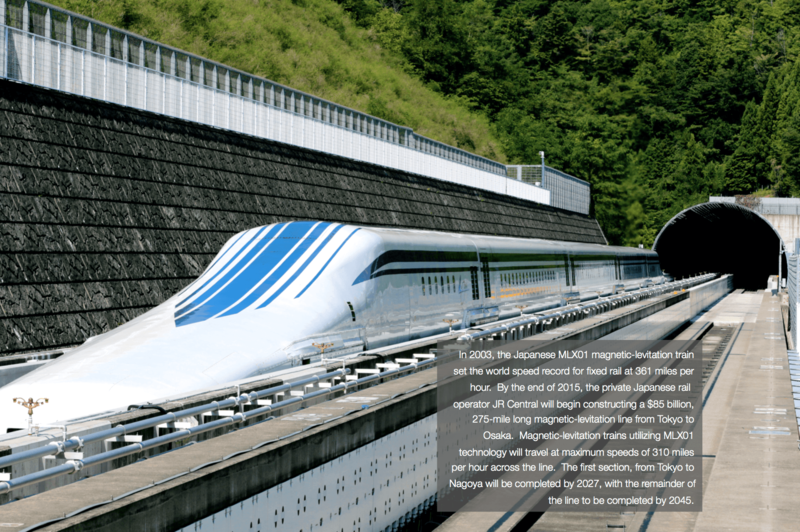 The world saw its first true high-speed rail line from Tokyo to Osaka open in 1964. Soon after, in September of 1965, President Johnson signed the High-Speed Ground Transportation Act, which facilitated the development of a high-speed rail corridor from New York to Washington along the existing Northeast Corridor right-of-way. 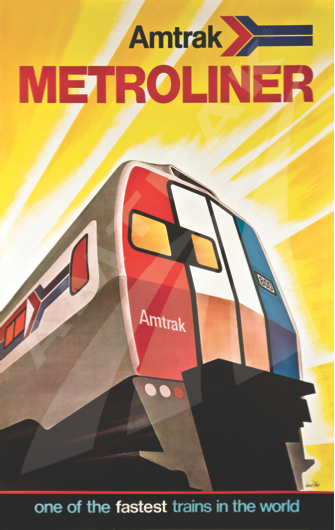 By the late 1960s, Penn Central’s Metroliner trains were traveling at speeds of up to 125 miles per hour, making the trip from New York to Washington in just two and a half hours (15 minutes faster than today’s Acela Express). In spite of this progress, as the 1960s came to a close, the rising use of the automobile displaced the demand for many previously successful intercity rail routes. As residents and businesses fled the cities for the suburbs, railroads that had failed to adapt to the changing times declared bankruptcy (including Penn Central), and by 1971, Amtrak was formed to consolidate intercity passenger rail in the United States. Today, the trends that brought an end to the golden age of intercity passenger rail in the United States have been reversing. 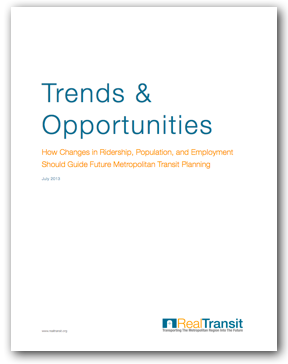 America’s cities are growing at ever increasing rates with expanding networks of local and commuter rail options. At the center of this renewal of intercity rail travel is Amtrak’s Northeast Corridor, which saw annual ridership increase by nearly 30% or 2.5 million passengers in just the last decade. Yet, as demand for intercity passenger rail grows and ridership reaches new record highs year-over- year, there have been only superficial improvements to the nation’s network of intercity rail since the days of the Metroliner. Amtrak routinely showcases its Acela Express service as evidence of the success of its investments. However, the Acela Express runs on the same exact right-of- way as the Metroliner did in the late 1960s. The only difference is that today, the Acela Express averages speeds that are about 20 miles per hour slower than the Metroliner achieved in 1969. 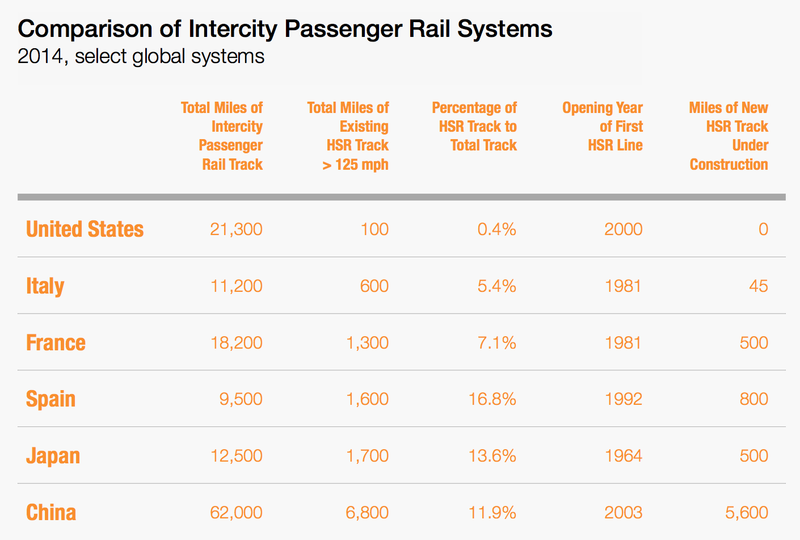 Globally, the growth of high-speed intercity passenger rail over the past two decades has been tremendous. The majority of intercity passenger rail lines in western Europe, China, and Japan operate at maximum speeds of over 150 miles per hour. So why is it that the United States has had such difficulty incorporating a modern, high-speed rail network into demand-heavy markets such as the northeast United States? Part of the problem can be attributed to the organizational and financial structure of Amtrak itself. Where freight lines have achieved profitability due, in part, to their competition for business, Amtrak has a virtual monopoly on medium and long-distance intercity passenger rail routes, which consistently lose more money than they generate. In addition, a large portion of the profits made by Amtrak’s few successful rail lines, such as the Acela Express, go not towards improving service and upgrading infrastructure, but rather to subsidize losses from the majority of its profitless routes. 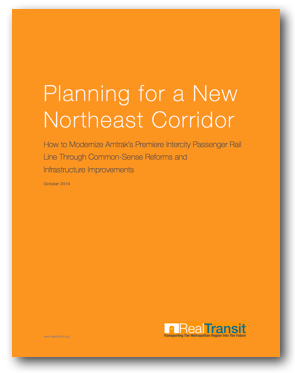 From an engineering perspective, because Amtrak relies on the same right-of-way that was created when the Northeast Corridor was completed in 1917, expansion and modernization is costly and slow. Further, the focus on this unchanged right-of-way has limited expansion into underserved markets and has prevented a more regional approach to future high-speed rail planning in the northeast. 7) Dramatically increase the number of tracks crossing the Hudson River and bypass the congested bottleneck leading into Penn Station by constructing a new train station in Manhattan. 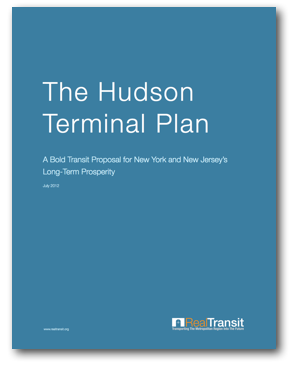 The proposed changes and suggested improvements contained in the following report seek to not only create a framework for making high-speed rail possible for the Northeast Corridor, but also prepare for a new era of high-speed rail construction across the nation. Moving forward, it is critical that planning efforts focus on efficiency instead of redundancy and long-term success over short-term adequacy. Like the investments needed to implement the Interstate Highway System or NASA’s Space Shuttle Program before it, investment in a program of high-speed rail construction across the United States will be costly. But like these great projects of the past, the long-term benefits to the public from investment in a modern, high-speed rail network will be tremendous. The time to renew our national commitment to large-scale public works is long overdue, and there is perhaps no opportunity better situated to comprehensive, yet sensible infrastructure investment than the implementation of high-speed rail along a new Northeast Corridor.